Have you given a thought that which is the smallest fish in the world? Let me tell you, Paedocypris progenetica is the smallest fish with a size of 7.9 millimetres which is actually less than one-third of an inch. 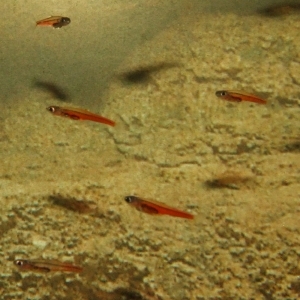 Before Paedocypris progenetica, the previous record for the smallest fish was held by an 8 mm species of Indo-Pacific goby. Nowadays, these fishes are facing habitat loss because of logging and agriculture.